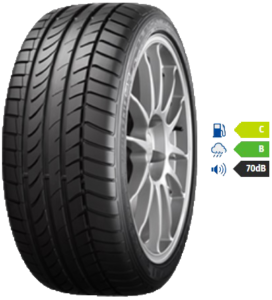 We will help you to select the right set of car tyres for your vehicle to ensure better driving performance and experience, economy and safety. You can check out our range of tyres available and their key ratings for economy, wet grip and noise by entering your registration in the form above. When it comes to buying new car tyres, many people do not understand what the vehicle requires. It is essential that you trust the garage supplying your car tyres and make sure they understand your needs or you could be paying a lot more for your tyres than necessary. At Rudheath MOT we have a good knowledge of the wide range of tyres to suit all budgets, driving styles and any other requirements. 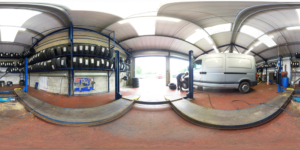 In addition, we offer services to ensure your smooth running and optimising the wear of you new tyres with wheel balancing, alignment and tracking. Should we be able to fix your tyres we will, as this will be a cost saving option when appropriate. Wheel alignment or “Tracking” involves checking the direction and angle of your wheels against your vehicle manufacturer’s specifications. Incorrectly aligned tyres can result in rapid tyre wear and affect the handling and safety of the vehicle. This can be caused by driving against a kerb, hitting a pothole in the road or by excessive wear to steering or suspension components. Wheel Alignment is an important way to guarantee a smooth ride and to extend the life of your tyres. 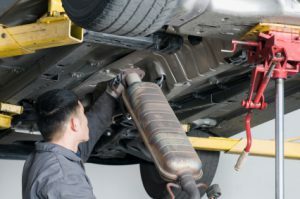 Despite common belief exhausts consist of many parts and not just a single run, which means you may only need one or two parts to repair your exhaust system. At Rudheath MOT we recognise this and only supply and fit what you need and never try to sell you a full system unless it is required. So we can replace individual parts or a full system if needed and always using the best in parts which are fully guaranteed. We only carry out work that needs to be done.